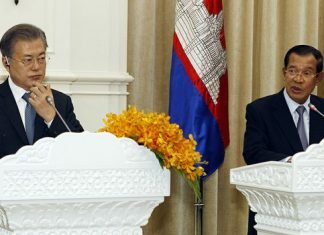 Speaking at a small ceremony to appoint senior officials attended only by a small clutch of Khmer-language media, Mr. Sauth described an internal meeting on Sunday in which the prime minister laid bare his strategy before next July’s national election. 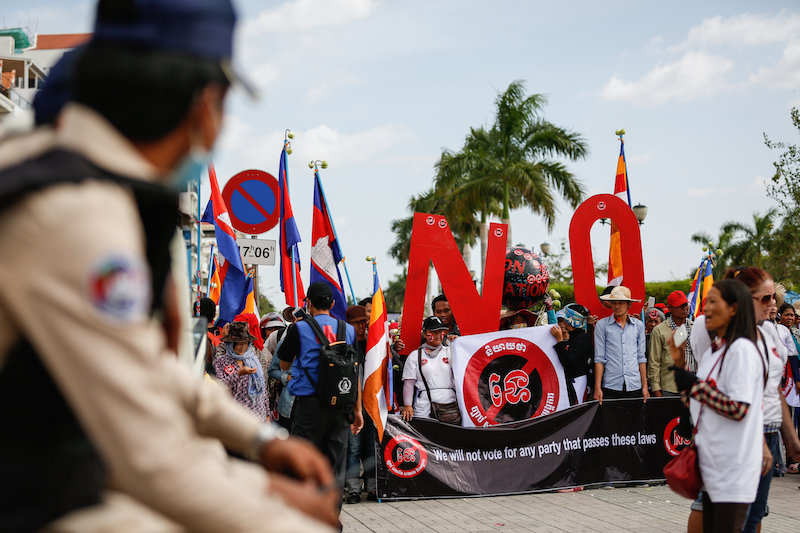 The CPP-led National Assembly has passed two rounds of amendments to the Law on Political Parties that Mr. Hun Sen made clear were designed to sideline former opposition leader Sam Rainsy. But Mr. Sauth’s admission that the party had a political motive in the changes contradicts repeated ruling party claims that the changes were done for the good of democracy. “If we lost our power and became losers, it’s finished—then, we would be finished,” he continued, in a recording of his speech obtained by reporters on Tuesday. 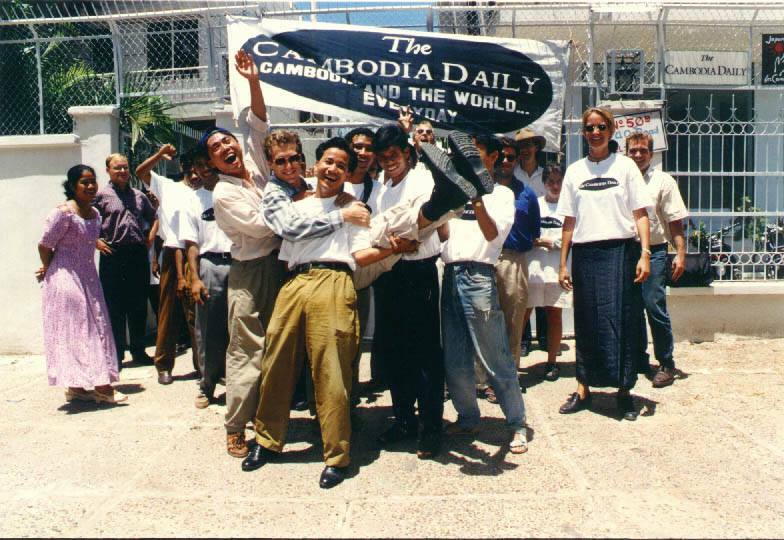 Cambodia was becoming like the U.S., with only two popular parties, Mr. Sauth said. 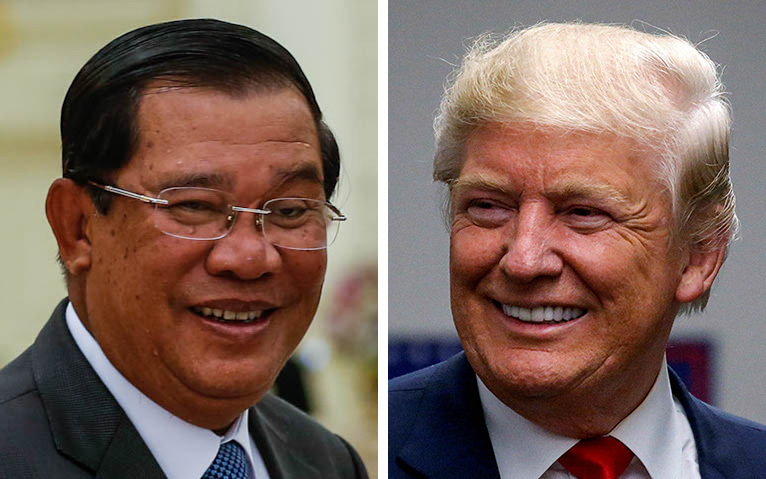 That statement seems to support claims by Mr. Hun Sen’s critics, who have for years said that he attempted to split the opposition vote by creating smaller rivals. The minister praised the peace and stability of the country under Mr. Hun Sen, contrasting it with the “really poisonous” opposition whom he said are controlled by unnamed outside powers. Officials who weren’t happy with the CPP could forsake their paycheck and flee to the CNRP, Mr. Sauth said. “If you’re not [loyal to] the CPP or to the government that’s led by the CPP, why are you still patiently staying with us?” Mr. Sauth asked. The ruling party would win anyway because it had more human resources, money, and power, Mr. Sauth said, citing the three points made by the prime minister. “If we compare to opposition party, they do not have it,” he said. CPP spokesman Sok Eysan seemed surprised to learn of the minister’s comments, saying he was unaware of Mr. Hun Sen’s reported remarks. 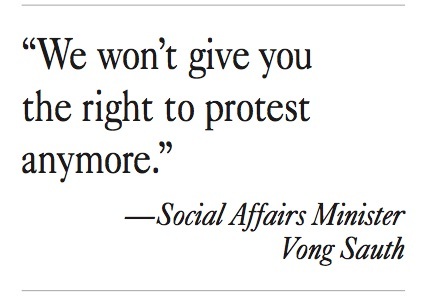 “It is His Excellency Vong Sauth’s personal ideas,” he said. Claiming dominance, however, was “just part of the game,” the prince said, and while splintering and creating opposition parties might have worked before, there was no evidence it would work with the CNRP. “For a state official to call for violent attacks on demonstrators who are just voicing an opinion is outrageous, let alone when that official is the Prime Minister,” he wrote in an email. The CPP’s pre-election plans set a bad tone in advance of the July 29, 2018, national vote, according to Sotheara Yoeurng, law and monitoring officer at the Committee for Free and Fair Elections.